Why Do Home Construction Companies Prefer Steel Railings? Most people interested in renovating their homes are easily confused while choosing between steel and wooden railings. After consulting a qualified architect, you’d discover that most people prefer using steel railings due to the feasibility and durability of the material. Many people prefer using balustrades made out of stainless steel, as a variety of designs are available and customizing the railing to match your interior or exterior is possible. Regardless of your personal preference, while constructing a house, it is advisable to take the budget, durability of the material being used and the requirements of the installation process into consideration before making a decision. According to Amer Adnan Associates, not only are steel railings practical, but they also help meet the requirements of modern home designs. In this post, we’ll be focusing on why most of the architectural firms in Pakistan prefer steel railings over wooden ones. While selecting railings for your balcony or terrace, it is essential to keep the weather conditions of the area in mind. Due to constant exposure to heat and sunlight, it is preferred that the use of dark railings be limited, as they often heat easily, and can cause your deck or balcony to become unreasonably hot. 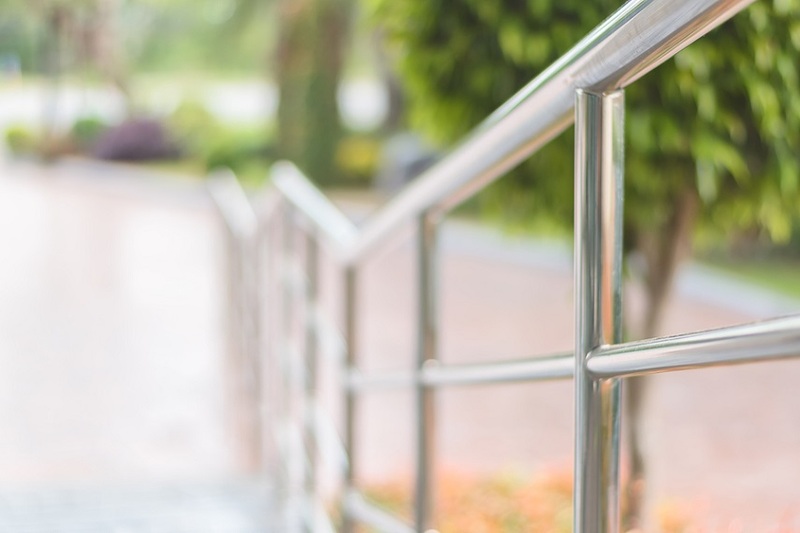 The ability of stainless steel to resist corrosion makes it the ideal material for railings, as they are constantly exposed to rain and other environmental conditions. On the other hand, some of the common problems associated with wooden railings include the decomposition of wood, vulnerability of the material to termite attacks and the cracks and warps associated with drying wood. This is one of the reasons why the use of wood as a construction material is often discouraged. Even when used indoors, maintaining wood and wooden railings can be quite difficult. Many people believe that stainless steel, as a construction material and as a material for railings, costs more than wooden railings, while in reality steel banisters are economical and are cheaper than wooden ones. As steel is widely available and is a common material for construction sites, the cost of manufacturing steel railings is less. The cost of wooden railings, on the other hand, depends on several other factors, including the type of wood used, the workmanship involved and the cost of the supporting materials used. Due to the availability of ready-to-use strips, and metal railings which can be purchased as sections, that begin with and end with support posts, steel railings are relatively easier to install. On the other hand, experiencing problems with the acclimation of and the finishing of wooden railings is common. One of the reasons why most people prefer steel railings over glass ones is because of the difficulties involved in cleaning and is because the glass will also create a wind block, which is something that can be avoided while using steel railings. We hope this article was successful in answering any questions which you may have had regarding deck railings. For more household tips and information on construction materials, stay connected to our blog.